Much has been written and said by local residents since proposals were announced in 2009 by Woods Foundation School to erect a wire mesh fence around the school perimeter. This new fencing would also enclose the ‘running track’. The purpose of this article is not to take sides but to report the various communications that took place between, on the one hand, Woods School, and on the other by the Woodborough Parish Council, Woodborough Community Association, plus individual residents. The new fencing was eventually erected but a modification was agreed that allowed the ‘running track’ area to be used out of school hours. This dispute is now confined to history and as such might be of interest for people to read about it in the future. What did the school look like before the fencing was erected? These two photographs were taken in 2009 and show the open aspect of the area concerned. Above left: This photograph was taken from Lingwood Lane, the running track is the flat grassed area in the foreground and to the right. Above right: The school as viewed from the Village Hall car park, the railings are those in place to mark the boundary of the land belonging to the Village Hall, the running track area is the grassed area between the railings and the yellow truck. (The views expressed are those of the correspondents, not the author of this website). 19th March 2009 Planning Application Proposed Development, the erection of 2.4m and 3.0m high Pallas security fencing and gates to a location at Woodborough Woods School, Lingwood Lane, Woodborough. (See Site Plan). Ravenshead Messenger 28th May 2009. Secure site. Security fencing is to be put up at Woods Foundation School in Woodborough. Gedling Borough Council granted planning permission for the fencing at the Lingwood Lane site after an application by Notts County Council. Residents objected to the plans when they were revealed last year but the school said the fence was necessary to improve security. Ravenshead Messenger 23rd July 2009. Moves to put up a security fence reaching 3m at a village school have been rejected. County Council planners voted against the changes at Woodborough Woods School, which is in a Conservation Area. Under plans, a 2m high fence would have been put up to divide the school playing fields from Parish Council land and the Parish Hall. The proposed green fence was up to 3m high at other points around the site. But Councillor Geoff Parkinson, Chairman of Woodborough Parish Council, said: “It will look completely out of place and ruin what is a beautiful village. The school should make the building more secure as, opposed to turning it to a prison of war camp”. The Council received 83 responses from the public. Some 75 of these were objections. Councillors said the fence was unsuitable for the school because it is in Woodborough Conservation Area and next to the Grade II listed St Swithun’s Church. Minutes of Woodborough Parish Council meeting held 3rd August 2009. 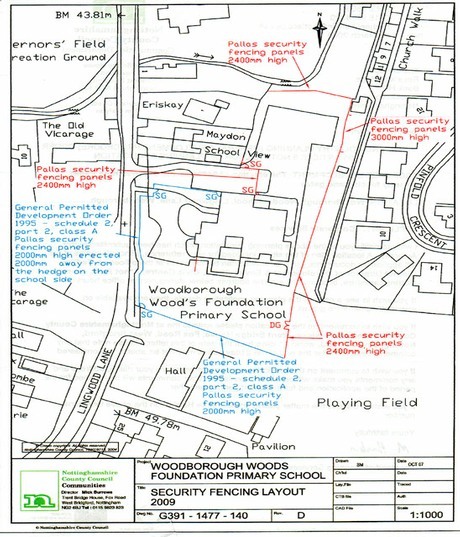 Planning applications – Woodborough Woods School, proposed security fence. It was noted that the school proposed to go ahead with the erection of a 2.0m high security under permitted development powers which did not require planning approval. The Parish Council expressed its disappointment that the school had taken this decision and by a majority vote agreed to oppose the proposal. There was a discussion on the option of asking Gedling BC to pass a resolution under Article 4 of the Planning Act but it was agreed this would be unlikely to succeed. 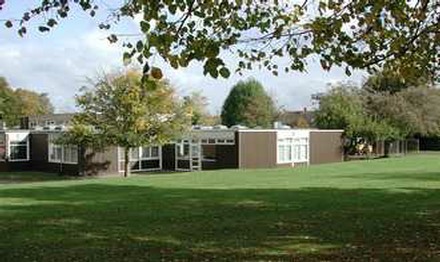 The Chairman invited local residents to address the Council on this issue after which it was proposed and agreed to write to Nottinghamshire County Council asking for funding to be withheld and to the head teacher expressing disappointment and in view of the school’s concern over security withdrawing the right to use the playing field. Open letter from Woods Foundation School to residents of Woodborough dated November 2009. After careful consideration and detailed discussion with a wide variety of interested groups the school has decided to erect a 2m perimeter fence. This will circle the school site including the school playing field next to the reception class. We have been advised by a number of experts, including OFSTED, the Nottinghamshire County Council’s Risk and Insurance Department, the Police and our insurers. This has been a difficult decision given a significant number of objections from the local community. The school is an integral part of the community and we have striven to find a compromise with Woodborough Parish Council (WPA) and the Woodborough Communication Association (WCA) through a number of meetings. Unfortunately the plan that the Governors, staff and other expert groups believe will meet the objectives (set out below) has not been accepted by the WPA and the WCA. Following a further meeting with County Councillor Reg Adair, who has responsibility for allocation of funds to this project, Cllr Adair has decided not to fund the project. The governing body understand the pressing need to address the issues of education and security and have therefore made the difficult decision to fund the perimeter fence from the school’s devolved formula capital. The need for a fence falls into three broad areas; health and safety, security and academic development. Health & Safety: The health and safety of the children is our priority, however, we have regularly found alcohol bottles, broken wood and dog excrement on the site. All local schools have a security fence, because of the concerns highlighted here. The possibility of children leaving the site or of unauthorised adults entering the site has been the site has been a concern. The traffic on Lingwood Lane, including an increased number of buses, has meant the front of the school has become increasingly exposed. Equipment has been damaged, including benches and football posts. The fence would allow increased outdoor play allowing children to take calculated risks e.g. climbing, balancing etc. Security: The security of the school site is also a concern. There have been 4 break-ins and a number of anti-social behaviour activities in the last two years. We have also been advised we are open to an arson attack. Two of the largest school fires in the county have occurred two miles from our school. We are also prone to lap-top and projector theft, because local schools have fences thieves go for schools without fences. Our duty of care to our staff when they are lone working, a number of staff work on site alone every week, means they are vulnerable if a break-in occurs. Zurich Insurance recommended a fence to be installed and the Police support a fence. A fence would not stop intruders, but it would deter them. The fence is one of a number of deterrents the school will use. Academic Development: As a school the academic development of the children is our main purpose. OFSTED have recommended in the last three inspections the need for more outdoor play equipment for the children. Outdoor learning has equal value to indoor learning. Outdoor learning has a positive impact on children’s wellbeing and development. Children need the support of attentive and engaged adults who are enthusiastic about the outdoors and understand the importance of out learning. An approach to outdoor learning that considers experiences rather than equipment places children at the centre of the provision. Play and learning that flow seamlessly between indoors and outdoors enables children to make the most of the resources and materials available to them and develop their ideas without unnecessary interruption. Each space will have unique feature that affect the way it can be developed or used. We will have a canopy erected outside Classes R & 1, the area outside class 3 and 6 will be developed into a sensory garden, an outdoor classroom will be built in the junior playground, as well an activity trail, tyre park, basketball posts, netball posts and football posts. A variety of hard and soft surfaces (grass, bark) and low level slopes offer added interest, exciting new perspectives and often act as a catalyst for children’s learning. As children investigate and explore things around them they will be practising, consolidating and learning new skills. The outdoor environment offers the opportunity for the teachers to provide open-ended materials and resources, to give children the time to use their imagination, to communicate in a variety of ways and to be creative. The outdoor environment will be organised into interest zones. Bamboo fencing, willow dens, tyres and trellises will be used to create areas. We will attach chalk boards, magnetic boards and white boards to walls to create attractive learning areas. This will enable children to work cooperatively together. Identifying and overcoming any barriers to making good use of the outdoors is a vital first step towards effective practice in supporting outdoor learning. The healthy schools agenda asks schools to deliver access to up to five hours PE per week for every child. The extra curricular activities provided by the school amounts to up to five hours per week. The extended schools agenda, our new breakfast and after school clubs for wrap around care will extend the opening of the school to children from 8 a.m. to 6 p.m., an extra 16 hours per week. If the field had been excluded from the perimeter fence teachers would have been less likely to use the field on a regular basis. The staff (including teachers), teaching assistants and midday supervisors favour the fence to include the playing field because it will offer an invaluable resource to extend the opportunities to the children’s experience at school. Liability Issues: Including the school playing field has caused a lot of concern. We have been told it can only be used with the permission of the school and should only be used by public groups with £5 million public liability insurance and appropriate risk assessments. We do plan to let the playing field to groups, such as Feast Sports. Should an incident happen at any further date the school would find it difficult to justify why it had not taken the opportunity to include all the school grounds. There is a view by some people in the local community that there is no need for a fence, appropriately 5% of the residents objected during the planning stage. These objections included a view that the crime, health and safety problems were not as bad as the school perceives. The Police and risk and insurance department disagree with this. Also the visual impact of the fence caused concern. The type of fence to be used would be Pallas style fencing. The school plans to use hedging to minimise visual impact. We would like to invite all the children, staff, parents and residents to be involved in “The Big Plant”. A weekend planned to plant a variety of hedges, trees and bushes. We will let you know more details of this nearer the time. The fence on Lingwood Lane will be 2m in from the highway to minimise visual impact from the bottom of the lane. The staff and governing body know this is not an easy decision and understand that some will not agree. However, we have been advised by the experts in the health, safety and educational needs of the children to make this decision. If you would like to comment on these plans please write to the Head teacher in the first instance. We look forward to exciting, vibrant school environment which will benefit the children for many years to come. We will have open days to show parents and residents around the school site once all the new equipment is installed. Panorama of the school and the new fencing in 2011, on the right the ‘running track’ area. You will have received a letter from Woodborough Woods School regarding the erection of a 2m industrial style fence around its perimeter. There are a number of inaccuracies in the letter and, as a result, Woodborough Community Association (WCA) and Woodborough Parish Council (WPC) feel driven to respond given the strength of feeling that has been shown by residents. Following this the school announced plans for a 2 metre fence placing it 2 metres from the highway. They have said this is to minimise impact – it is actually to avoid the requirement for planning permission. Two meetings involving representatives of the Governors, WCA and WPC followed the council open meeting, the second being attended three County Councillors and the County Director of Property. At both meetings alternative proposals were discussed at great length and a compromise, proposed by the school, was agreed only to be then rejected by a majority of the School Governors. The compromise was to not include the grass playing field between the Village Hall and the school; a plan acceptable to the Police and the Insurers. Most of you will be aware that Feast Sports is held on that area every year. Those of you who have had children in Scouts, Cubs, Brownies and Guides will know that it is regularly used for outdoor activities whenever weather permits and gives a safe contained area for their activities. When sports matches are held on the main playing field, especially cricket, you will often find children of spectators and players using the area. It is a place they can play safely without fear of a cricket ball or football hitting them. Incidentally, the school playing field is not large enough to give the PE scope the school needs. The lessons regularly spill over into the Parish Council playing field. Following the second meeting in October Cllr Reg Adair of Finance, with the agreement of Cllr Philip Owen, responsible for Children and Young People’s Services, agreed to fund this compromise of a fence round the school providing it did not include the grass area. They obviously recognise the community benefit of this piece of land which, although owned by the school, has been freely used by people of the village for generations and has been a valuable amenity especially bearing in mind the limited size of the Parish Council owned playing field which it adjoins. Again, the school rejected this compromise and has chosen to finance the project from its own funds at a cost in the region of £30,000. The fence will not add to the children’s safety. It will only prevent the playing field being used by villagers and be a serious eyesore in a Conservation Area. The school’s letter gives many reasons why a fence is needed – there is no need to address them all individually here other than to say that the issues of child safety and security have been at the forefront of the school’s argument. It is somewhat surprising therefore that the school has not seen fit to ensure that existing gates to the school are kept closed nor have there been any notices posted to discourage unauthorised entry. We do not dispute that there have been the occasional incidents of theft, vandalism, littering etc. and in urban areas of some villages fencing may be the answer, though several schools within a 10 mile radius of Woodborough are not surrounded by a fence, and there are many less drastic ways of discouraging this activity. The Governors’ Field has never suffered from vandalism in spite of being permanently unlocked. As a result of this latest development, the WCA is planning to submit an application to the County Council for Village Green Status on the area between the school and the Village Hall. This would protect the communal use of the land without preventing the school’s use and if successful would require the re-siting of the fence at some considerable further expense. We are gathering evidence to show community use of the area over the past twenty years and would greatly appreciate any practical support. If you wish to comment on this, have photographic evidence or are willing to testify to an inspector to record your use of the playing field for recreation, please contact us. Both the WCA and WPC have in the past been practical supporters of the school through the free use of the main playing field, ground maintenance, support for events etc. and it saddens us to have to take this stance. We do, however, believe that when this land was gifted to the school, the intention was that both the school and the village should enjoy the future benefit as they have in the past. We are seeking Village Green Status to ensure this remains the case and would welcome any support or assistance you can give. It was reported that the school had started the construction of the new fence and had requested the removal of the low metal fence between the Village Hall car park and the school. It was agreed that the Clerk should write to the school stating that as the fence had been erected and paid for by the Parish Council at a cost of over £3000 at the school’s request, and that as the fence was erected pursuant to a covenant in a conveyance between Nottinghamshire County Council and Woodborough Parish Council, the Parish Council was not prepared to remove the fence. Cllr Hough reported that he had not been privy to disclose the school’s plans for the fence as it had been treated as a confidential item; as a consequence he felt that his position as a Governor had become untenable and he announced his plan to resign from the role. Cllr Turton expressed a view that the school children should still be allowed to use the Parish Council playing field. Cllr Boot supported this view and proposed this be made an agenda item for the January meeting of the Parish Council. Following our letter to the village last December a considerable amount of work has gone on behind the scenes regarding public access to the school playing field. One of the main points which seemed to be most regularly brought to our attention was that this area of the grass between the Village Hall and the school was no longer available for casual use by villagers as had been the case ever since the school has been built. It was also seen by many as inappropriate use of school funds used to finance the installation of the new fence. 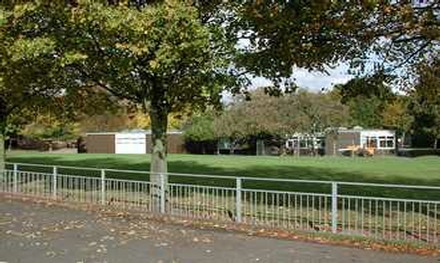 Notts County Council was prepared to fund the fence providing it was placed adjoining the school leaving the field open. By using their own resources the school was inevitably reducing its funding potential for other projects. A resident of the village approached the WCA, the Parish Council and the school governors with what he saw as a possible solution to the problem. This involved the installation of an additional fence adjoining the school. The gates to this inner fence would be open during the school day at the end of which they would be locked. The gates on the outer existing fence would then be unlocked allowing unfettered public access outside school hours. It is important that dogs are excluded from this area as is the case on the Governors’ Field. There would be a legally binding agreement to ensure that this facility could not be withdrawn. The County Council has intimated that, if the village community is prepared to accept this compromise, they would be prepared to finance the installation of the additional fence and retrospectively fund the cost of the existing fence. Two significant points of contention would thus be resolved leaving only the question of the aesthetics of the fence. Sad to say, there seems to be little we can do about this. The school in its last letter to parents indicated that, if there was no fence round their land, they would be required to bus children to sports facilities and this does appear to be the case based on County Council advice. This is a situation into which we would find to difficult to force the school, probably threatening its future development. After a great deal of discussion both the Parish Council and the Communication Association Committee have agreed that this proposal offers the best situation with which to move forward and to recommend it to the village. As a result the proposed application for Village Green Status on the land would not be pursued by the Community Association or the Parish Council. We hope that you find this an equitable solution but please do not hesitate to contact us if you wish to discuss the matter further. It would be helpful if comments were received before the end of April. Councillor Hough reported that he had given feedback to Shaun Hopwell on the proposed lease for use of the running track out of school hours, based on members’ emailed responses. A re-draft from Nottinghamshire County Council was expected. Councillor Hough reminded members that he had had sight of the draft lease due to his status as [school] governor, and that the next draft could be discussed by the Parish Council in council and shared with the Woodborough Community Association. Councillor Hough reported that the inner fence might be erected during half-term; John Charles-Jones expressed concern that as yet proper consideration had not been given to the need for a pedestrian gate alongside the vehicle gates, already installed in the new fence between the two playing field areas. The chairman agreed to contact Councillor Spencer as a matter of urgency to stress the need to involve the Parish Council in drafting the lease and to consider the need for a second gate. Nottinghamshire County Council on May 12th was unacceptable on the grounds of its duration (10 years only); the clause allowing the licensor to terminate the agreement with 6 months notice; the requirement for the Parish Council to ensure the premises are free from litter; the requirement to indemnify the licensor in respect of any claims arising from non-school use. Councillor Parkinson reminded members that agreement to a licence would rule out any future application for village green status. It was proposed and agreed by a vote of 5 to 3 to forward an amended version of the licence which satisfied the Parish Council’s concerns to Tim Slater at Notts County Council with copies to Mark Spencer and Woodborough Community Association. The Parish Clerk confirmed that the Parish Council’s counter-proposal had been sent to Notts County Council on June 29th. It was observed that the gate had been left open after school and during weekends. The Parish Clerk reported that the Parish Council’s proposed terms for the licence were now being considered by the Children & Young People’s Department at Notts County Council; due to summer holidays progress was slow. It was agreed that the Clerk should request from Tim Slater of NCC within a week of the next school governors’ meeting, and to write separately to Councillor Spencer requesting his help in bringing the matter to a satisfactory conclusion. The Parish Clerk reported that no tangible progress had been made. It was agreed that members as well as the Clerk would speak to Tim Slater to stress the importance of this issue. Councillor Spencer had also sought an update; it was agreed that the Clerk should request Councillor Spencer’s attendance at the Parish Council’s October meeting to provide an update in person. school perimeter fencing following the construction work in 2009/10.